No fewer than 78 of the Rockies’ 100 highest peaks lie in Colorado, but even with all of that competition, 14,259-foot Longs Peak is in a class by itself. Credit its striking profile, excellent rock, and spectacular approach. Not surprisingly, crowds of hikers storm the standard Keyhole Route in good weather. Avoid this bottleneck—and goose the adrenaline factor—by taking the 13-mile Clark’s Arrow Loop. The clockwise traverse ascends 6,300 feet via the scrambly Loft/Clark’s Arrow Route and descends the Keyhole. Start at 2 a.m. at the Longs Peak trailhead and hike 4.5 miles to Chasm Lake, beneath the gigantic East Face Diamond. From Chasm, scramble steep slabs, then a straightforward but very narrow ramp (class 3) that leads south across cliffs to The Loft, a wide saddle between Longs Peak and Mt. Meeker. Cross the broad, flat Loft and drop down a steep, loose gully until you reach the base of the Palisade Cliffs. Find the faded paint splotch called Clark’s Arrow, then begin a 1,500-foot, class 3 scramble up Keplinger’s Couloir, until you intersect the Homestretch, the upper section of the standard route. Ascend the final 350 feet to the broad summit. Complete the loop by returning on the Keyhole Route, which rejoins your inbound trail at Chasm Lake Junction. Caution: Snow, ice, rain-wet rock, and thunderstorms can complicate any climb on Longs. Try this 30-mile lollipop loop that is almost entirely above 9,000 feet. From the top day hike to the key skills you'll need, we'll have you ready for the Rockies in no time. For the ultimate view of Longs Peak's 1,000-foot Diamond Face, climb to Chasm Lake on this 8.2-mile out-and-back that tops out above treeline. Climb 2,400 feet to twin peaks on Rocky Mountain National Park's east side. Aspen-shaded trails and unobstructed views of Longs Peak are just two rewards of this 7.2-mile out-and-back. 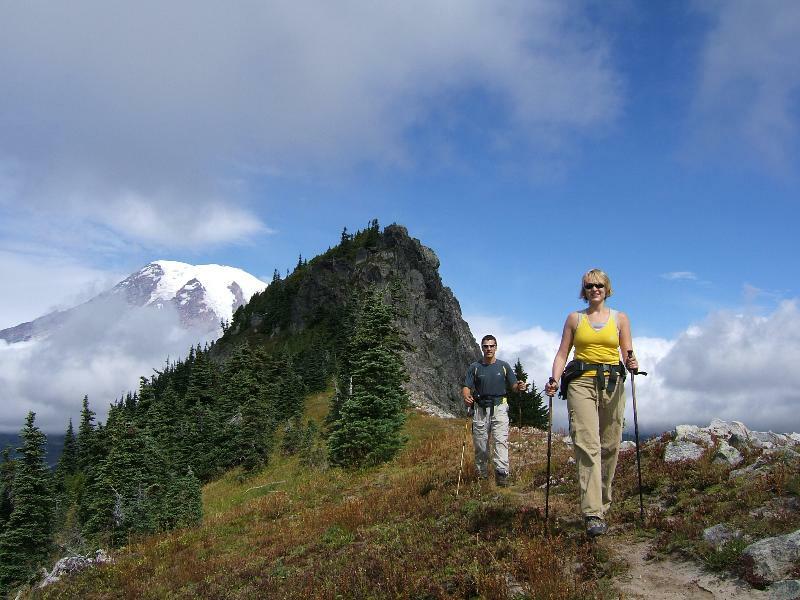 Scramble up a 12.7-mile sneak route to the park's highest peak.